CLICK THE RED NAMES BELOW TO READ PERSONAL REFLECTIONS. It's no secret that many Alaskans have their disagreements with the President. However, at the beginning of the month, in the wake of an historic visit, thousands of us across the political spectrum set aside our differences in order to welcome President Barack Obama to Alaskan communities. Knowing that with the President comes a brief, but powerful national spotlight on the issues that matter to Alaskans, we prepared to show him our way of life, the things we are proud of, the things we are scared of, and a few of the many reasons we call Alaska home. The President's time in Dillingham was one shining example of such an effort. Residents have fought for a decade to protect their home and way of life from Pebble mine, so the President's visit was an important opportunity to tell him where we stand in the fight. And more importantly, that we're not giving up. No matter who they voted for, Dillinhgam residents showed up and ultimately, were blown away by the experience of welcoming the President into their small but mighty community. We have collected some reflections on the meaning of the day in the following blog series. If you would like to add your own, please leave your thoughts in the comments or email them to jlynes [at] tu [dot] org. Alannah Hurley, Executive Director of United Tribes of Bristol Bay and lifelong Bristol Bay resident. 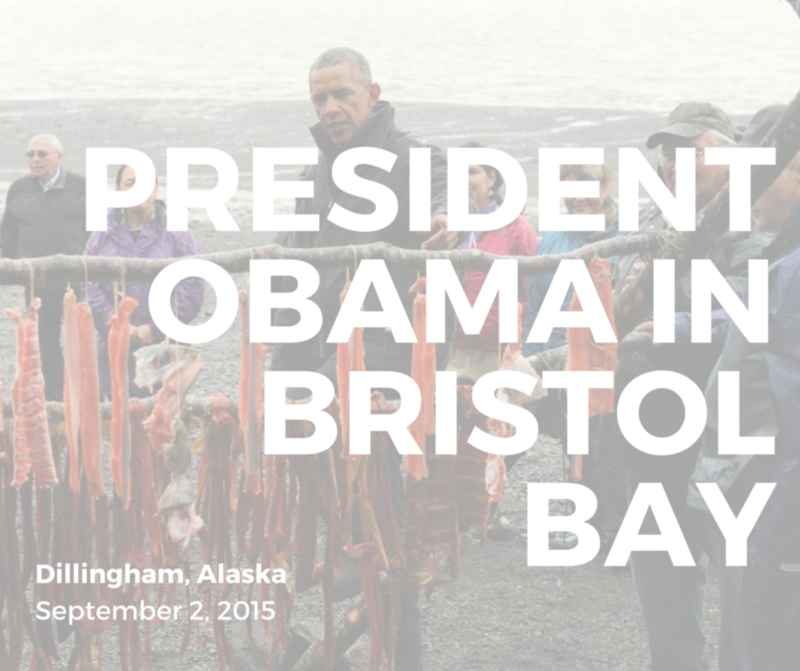 Older PostWhat do YOU want to tell the President about Bristol Bay?